Retail continues to embrace mobility throughout the demand and supply chain. The benefits of smartphones and tablets are clear, with more productive employees and a frictionless customer experience. What seems more elusive is how to manage and secure these new boons of untethered access, while maintaining compliance with regulations such as the Payment Card Industry Data Security Standard (PCI DSS). With Mobile Device Management (MDM), Retail IT can ensure security of information and manage policies across iPhones, iPads and Android devices. In addition, leveraging a cloud infrastructure reduces costs and frees up IT to build programs to keep customers satisfied. 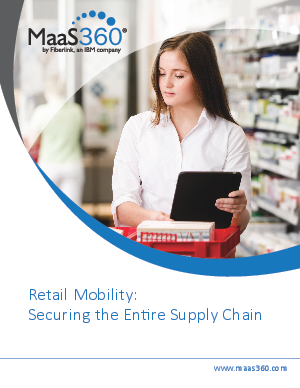 Download today to learn how to support, secure and manage mobility across the retail supply chain and beyond.